The GO! Fantasy Flowers by Robbi Joy Eklow is sure to get your creative juices flowing. She takes a classic flower and turns it into fabric artwork. 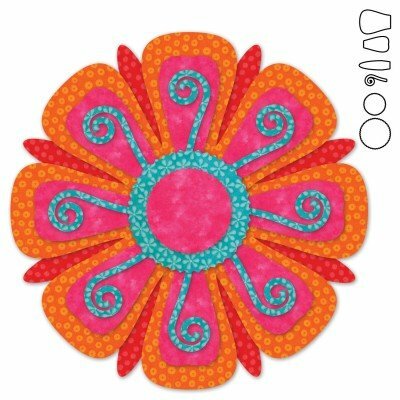 This die cuts three different sized petals, two pinked circles and a spiral accent shape to create a bold, gorgeous 13" flower. Included is an original Robbi Joy Eklow pattern for an artistic wall hanging. Flower power!